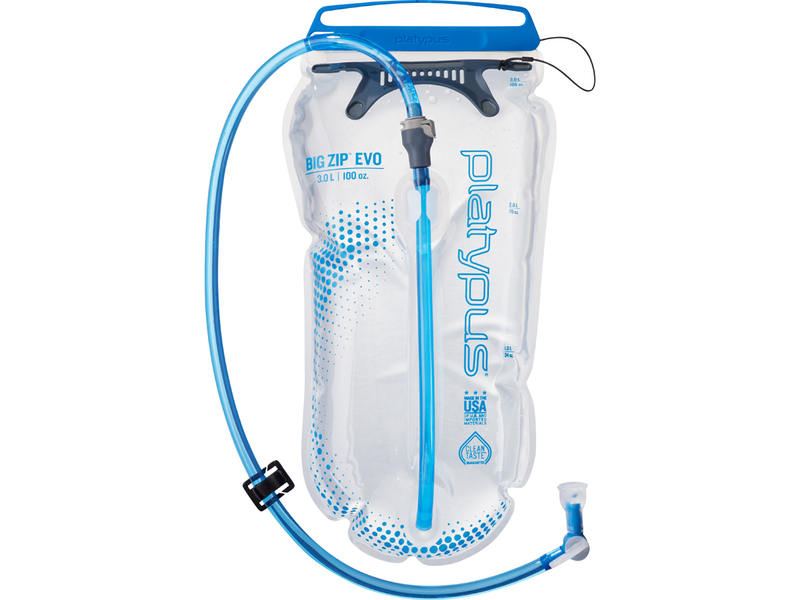 New for 2019: Premium taste-free hydration reservoir with 50% faster flow rate. Learn more. 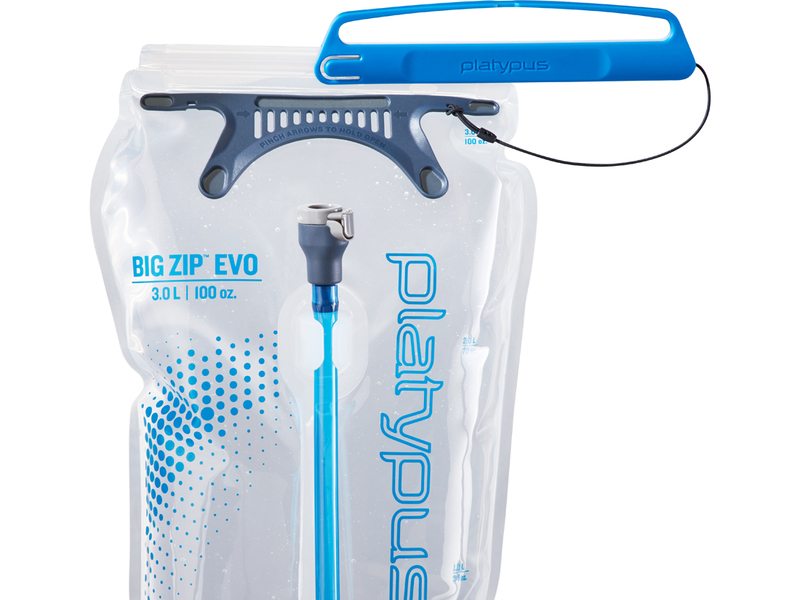 Introducing the Big Zip™ EVO—the latest evolution in taste-free hydration. 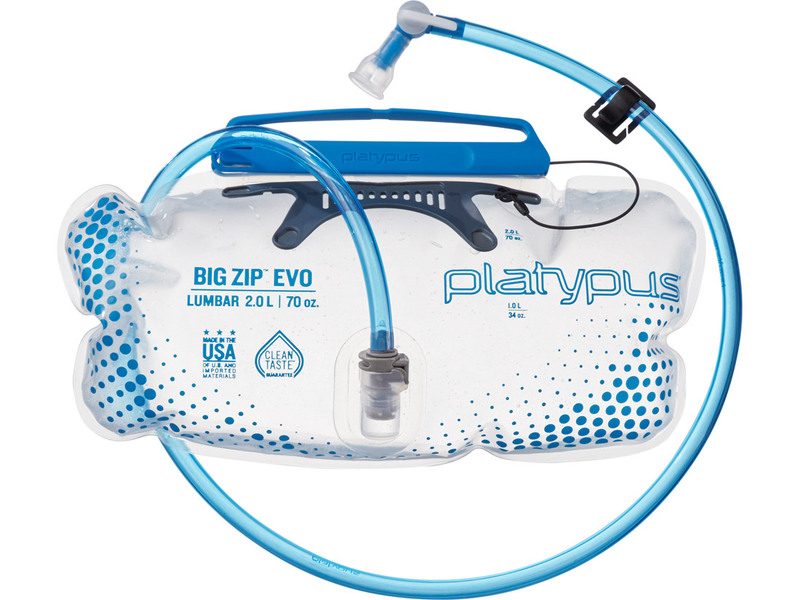 The Big Zip EVO delivers a significantly higher flow rate than previous Platypus reservoirs and a host of new features, making it a great option for backpackers, hikers, and mountain bikers. 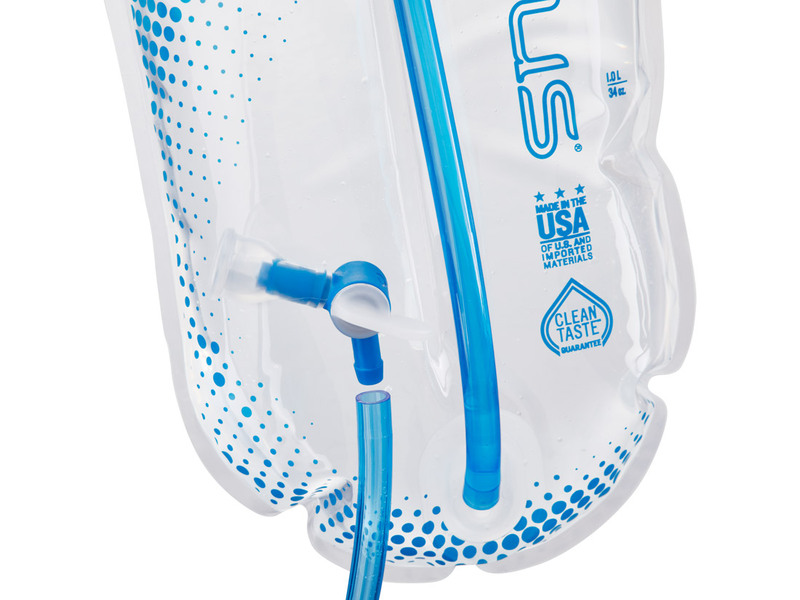 Available in 1.5L, 2.0L, 3.0L and a Lumbar 2.0L. 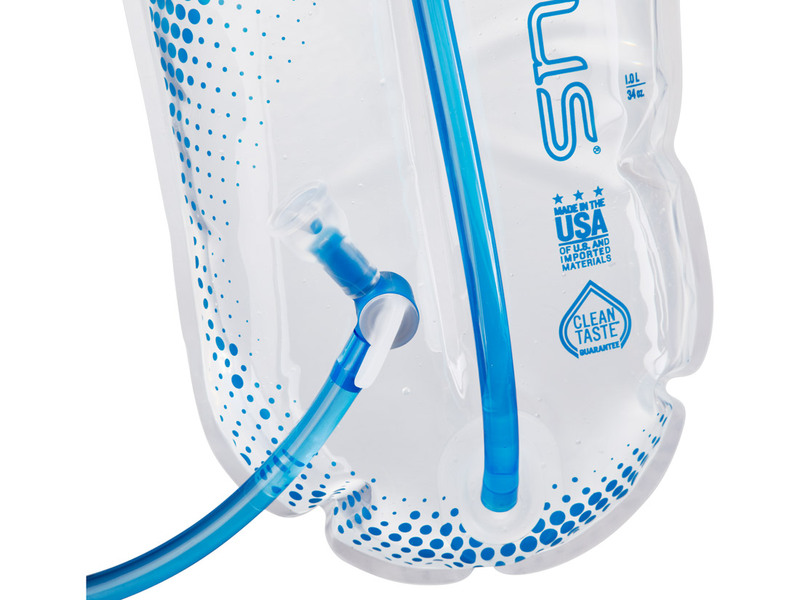 Secure SlideLock™: Slides both directions to easily open, securely close and fill reservoir. Handy Pincher Grip: Allows for easy one-handed filling. 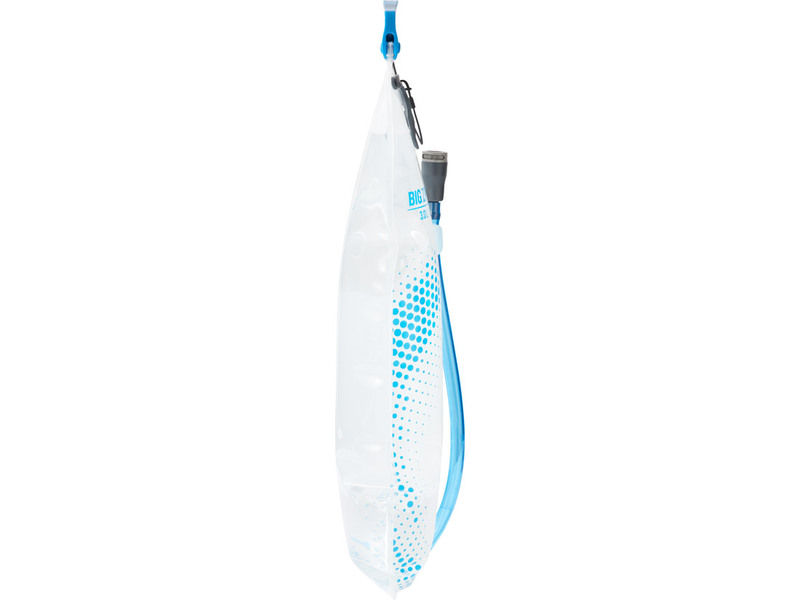 High Mount Quick-disconnect: Offers fast, easy access—no more digging down in your pack. Leak-proof Shut-off Valve: Instantly stops flow and offers reliable stowing. 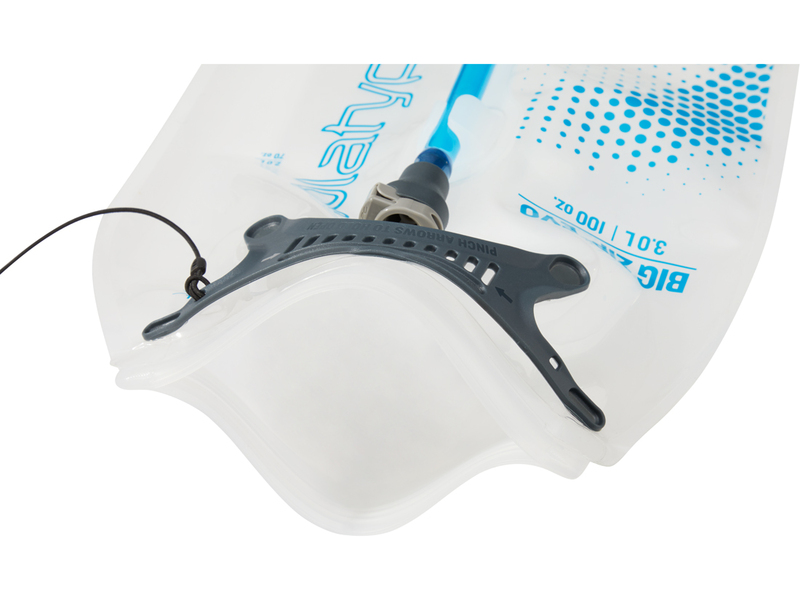 Semi-rigid Center Baffle: Offers low-profile support and makes for easy cleaning and drying. 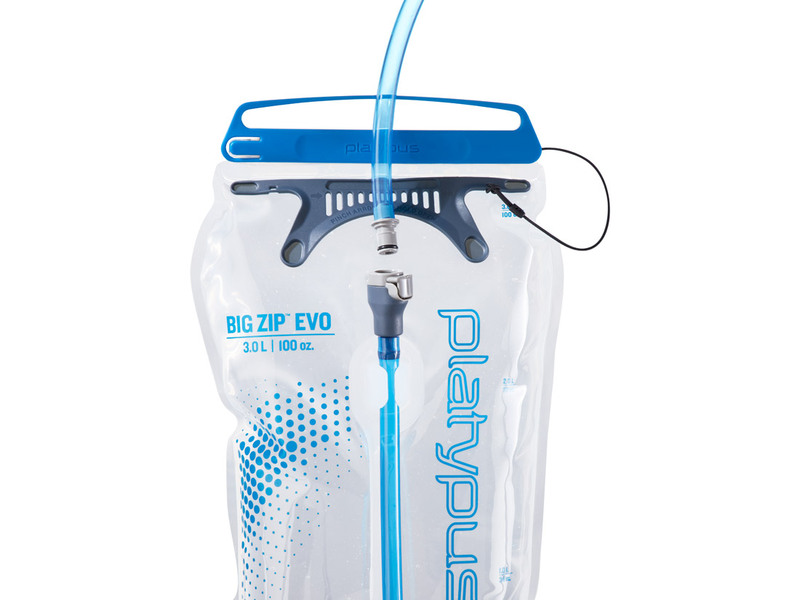 HyFLO™ Self-sealing Bite Valve: Improves flow along with new, larger 5/16" drink tube. Funk-free: Embedded Silver-ion protects clean water from mold & bacteria.